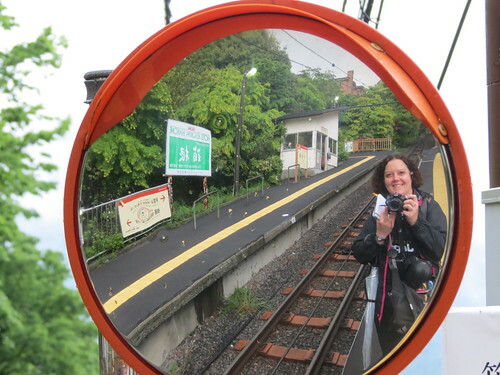 Continuing my Japan adventure, after spending a couple of nights of Kyoto I headed to Hakone for a night. 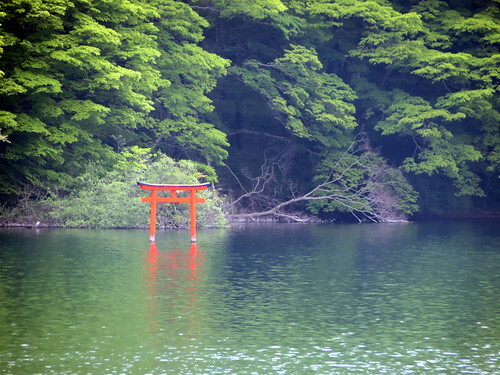 Hakone is somewhere I’ve been wanting to visit for a while now, and I can’t believe it was never on my list whilst living in Japan. One night there would probably have been enough if I hadn’t had some work to do, but in order to really explore the area two nights would have been better. 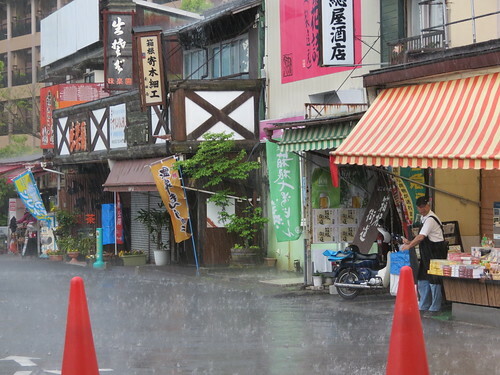 Still, despite my lack of time, and despite the pretty bad weather, I managed to see the main sights and get a good taste of the town. 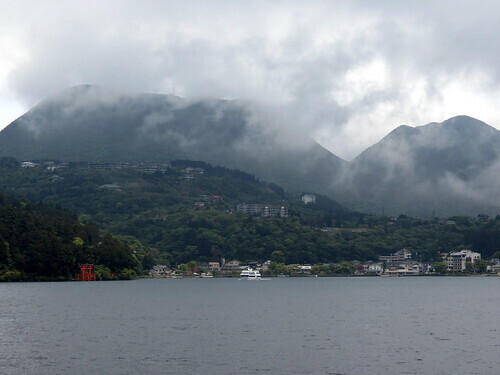 Hakone (箱根), part of the Fuji-Hakone-Izu National Park (富士箱根伊豆国立公園), should be a really good spot from which to view Mount Fuji. Sadly I wasn’t that lucky. 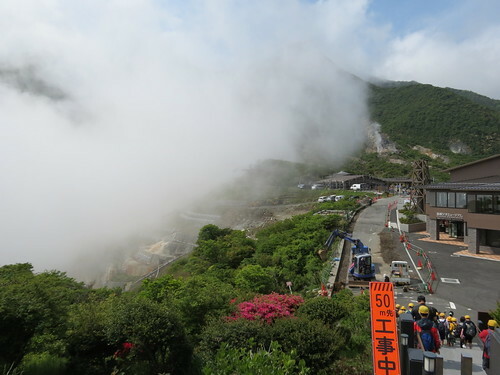 It was really drizzly and misty when I was there, and there was no chance of seeing the famous mountain. 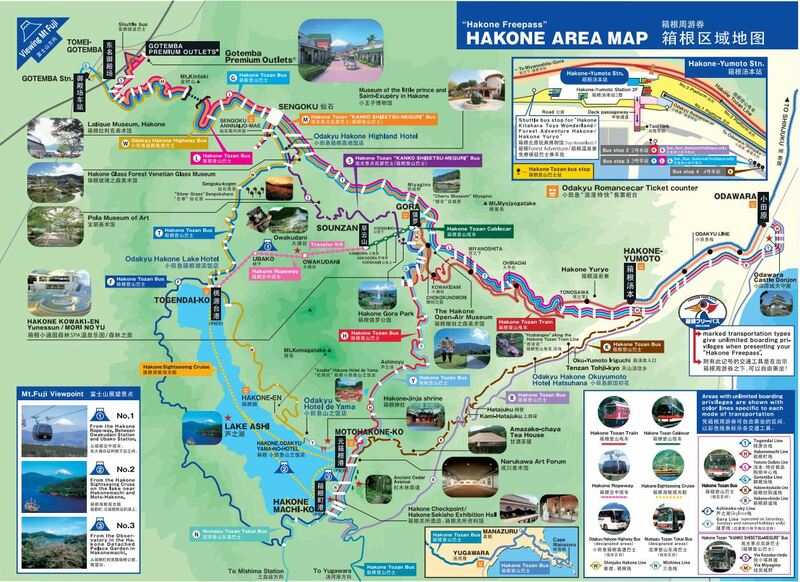 In order to get to Hakone, the most common route it to take the shinkansen to Odawara Station and then use local trains and buses to get into Hakone and around town.The layout of Hakone is something that it took me a while to get my head around. 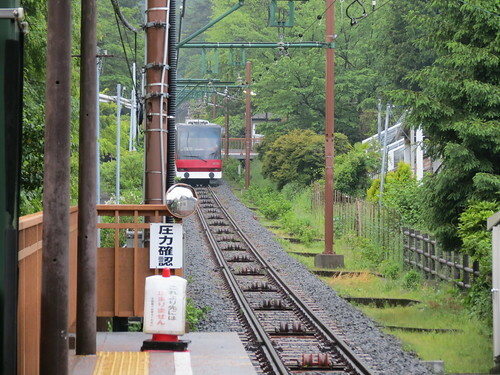 From Odawara, tourists typically take the train to Hakone Yumoto and then trains or buses around Hakone. 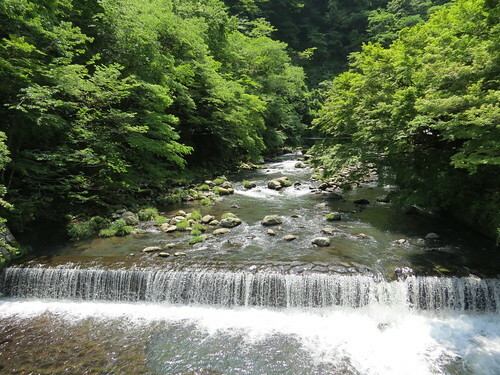 On the day I arrived, 22nd May, I had to visit some accommodation in the Tonosawa area for work. 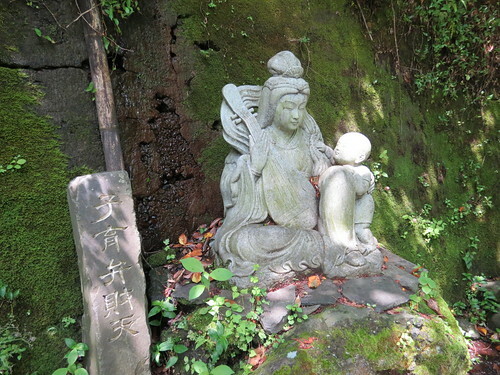 I can’t say I was that keen on the area, but I think it would be a fine place to stay as a base for exploring Hakone. There wasn’t much to do there to pass the time though! 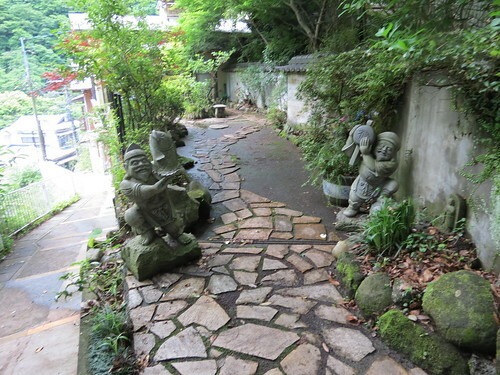 These statues were just about the only interesting thing I found in Tonosawa, although perhaps I just didn’t walk far enough. 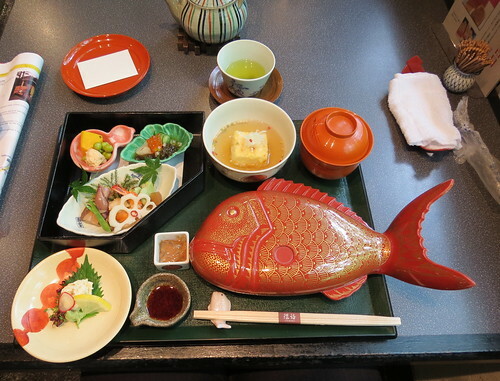 I found one restaurant, so I stopped in for lunch. 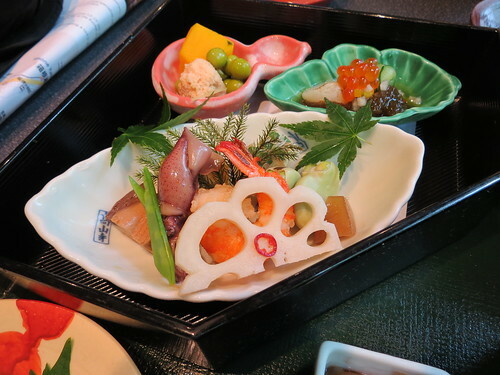 They only served one type of dish, which was fish-based. 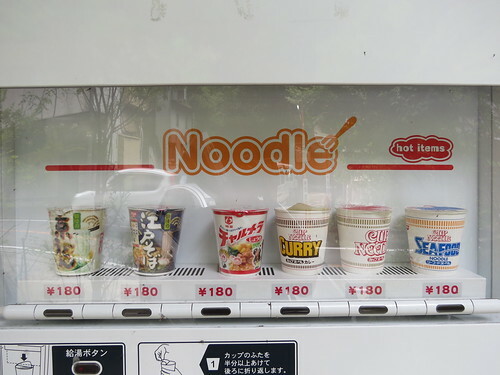 It was nice, but very expensive. 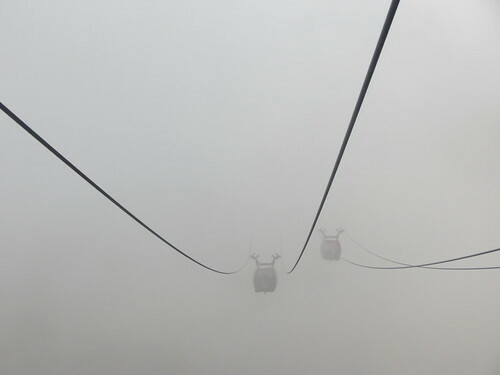 I rode the cable car up the mountain to my hotel in Gora. 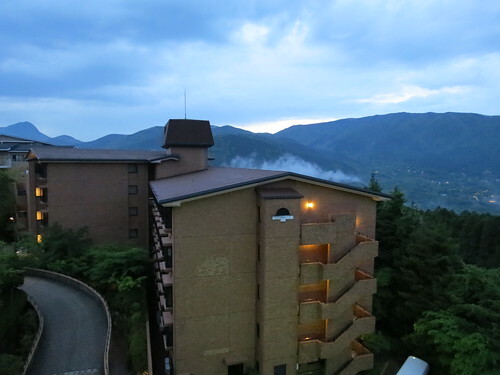 Hakone was quite atmospheric in the mist, and very quiet as I settled down for the night. 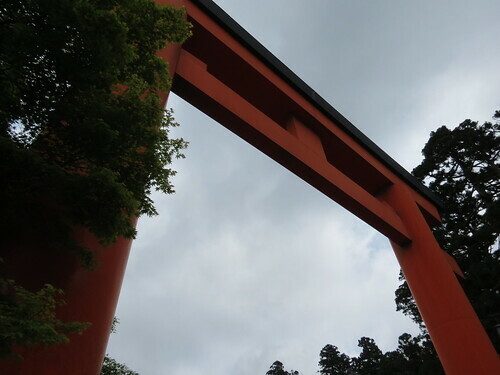 The next day was all about sightseeing. 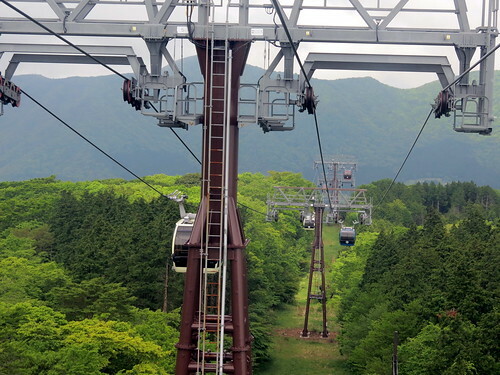 Starting in Gora, I took the cable car up to Sounzan, and then the Hakone Ropeway to Owakudani (大涌谷). 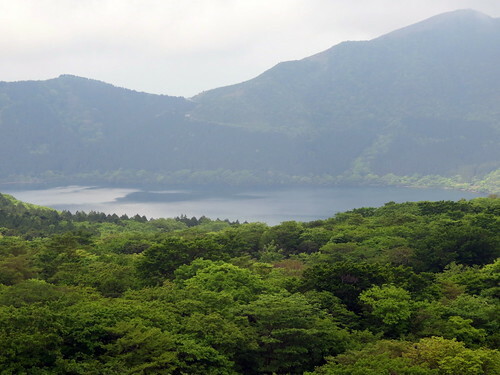 Owakudani is the area around a crater created during the last eruption of Mount Hakone (3,000 years ago). 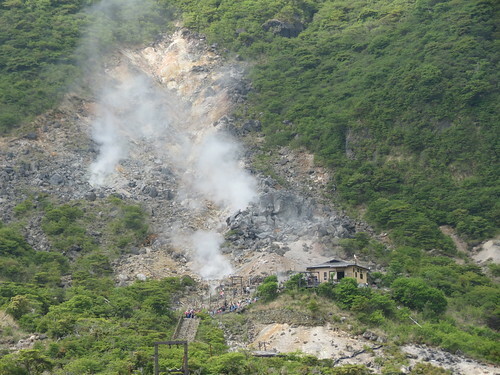 Part of the area is an active volcanic zone, with sulphurous fumes and natural hot springs. Sulphur you say? Yes, it stinks. The whole place smells very eggy, and it’s not pleasant. 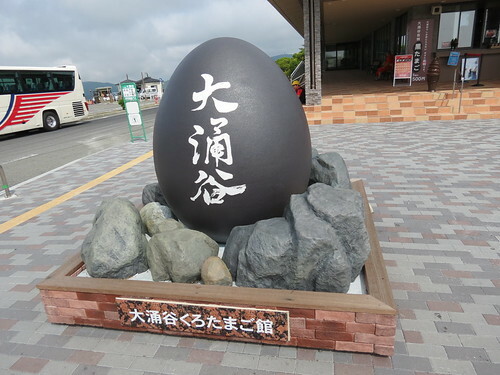 Owakudani is famous for black eggs – eggs which are cooked in naturally hot water, with shells blackened by the sulphur. 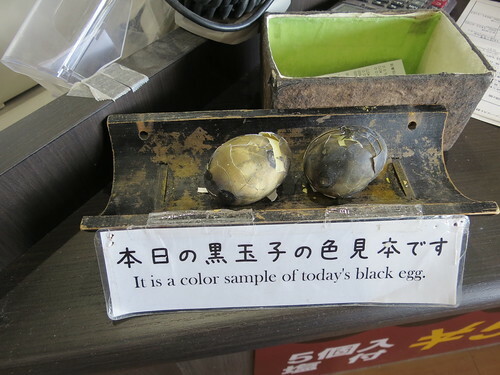 The eggs are said to prolong your life by seven years. I didn’t try an egg as you could only buy them in packs of five, which seemed ridiculous as I was travelling alone. 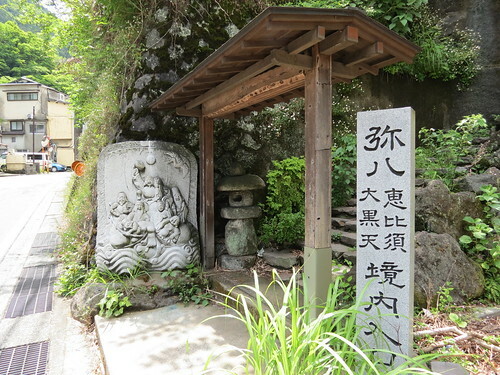 Instead, not overly impressed with Owakudani, I continued my journey and hopped back on the ropeway to Togendai. 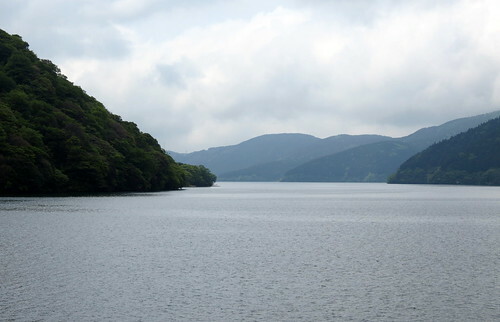 If the weather had been nicer the views of Lake Ashi (芦ノ湖) would have been better, but it still looked pretty nice. Amusingly, the overly optimistic announcement on the ropeway kept telling me how beautiful the view was and that I could see Mount Fuji! 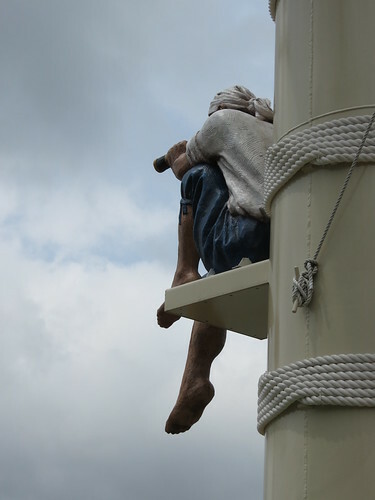 Arriving at Togendai, I headed to the pier. 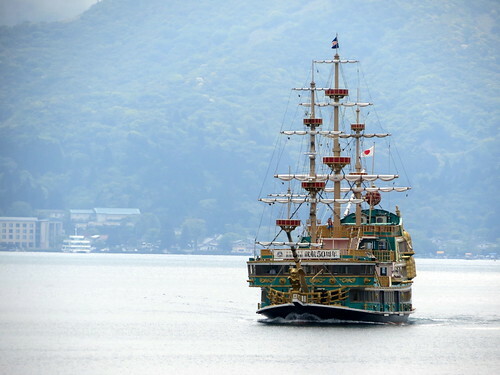 There are pleasure cruises across Lake Ashi in ‘pirate boats’, and this was something I was definitely keen to do even though the weather was far from perfect. The cruise was fun, and the views weren’t bad. 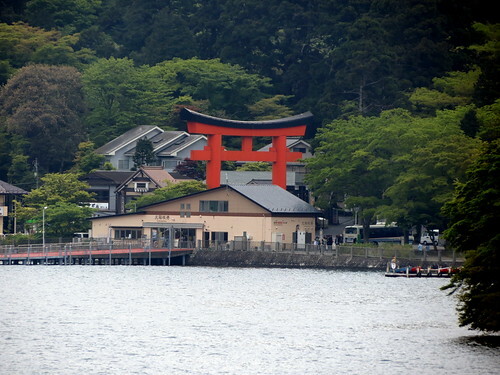 I was quite impressed with this massive torii gate as the boat approached Moto-Hakone. 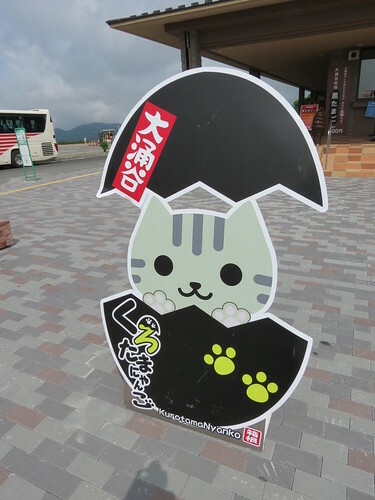 You need a bit of luck with the weather to see Fuji-san. I’ve been lucky a few times but it is always a roll of the dice. I was lucky enough to have clear skies when I went up by Ropeway to Owakudani so the view of Fuji-san was amazing. 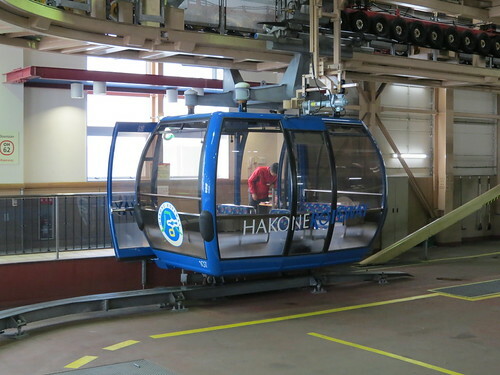 It was just myself and a group of Japanese pensioners in the gondola and when Fuji-san came into view they all stood up and started clapping – one of my favourite memories of Japan. 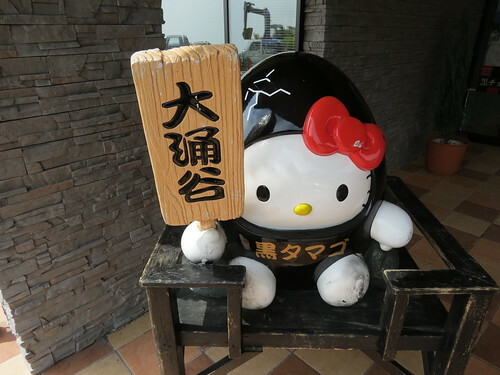 I also ate all 5 eggs – one of my least favourite memories of Japan! 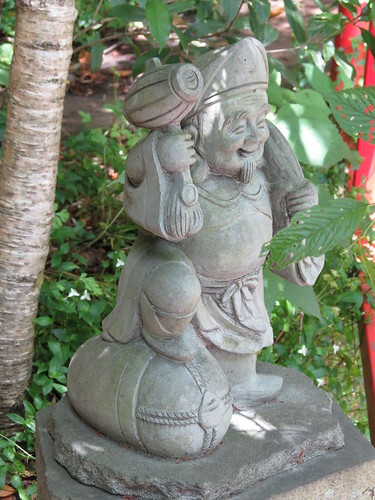 This is a great series of posts – its really making me want to take another trip back to Japan soon. 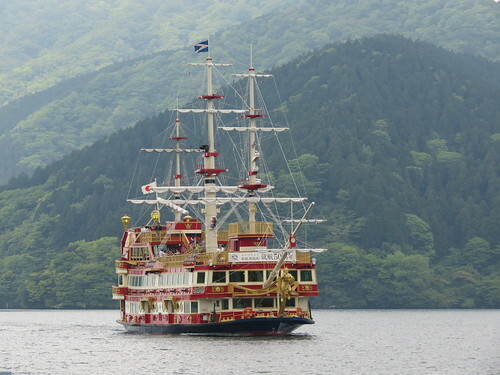 I love Hakone! My husband and I visited last year in June and we were lucky to have perfect weather for touring. The clouds that seem to often surround Mount Fuji even parted so we could get a glimpse. 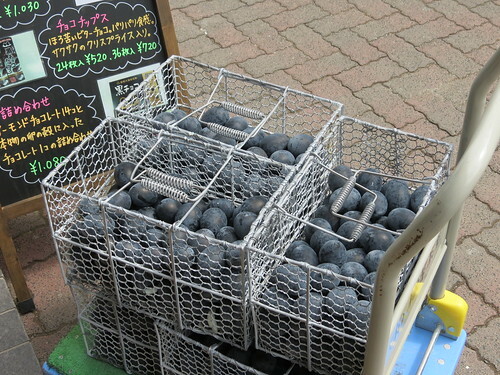 We did eat the black eggs but I’ll admit, he ate most of them so maybe he got most of the benefit. 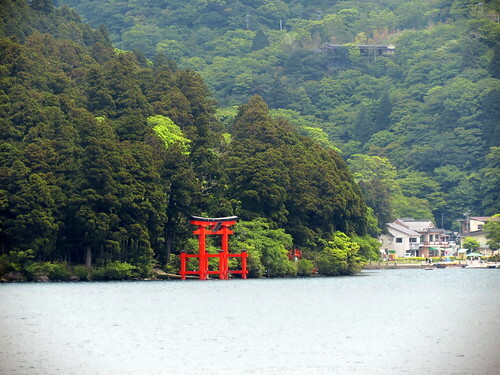 ^_~ And I love the huge torii right on the water (as you can probably tell by my avatar)! I look forward to seeing where else you went! That doesn’t sound too different to my experience! 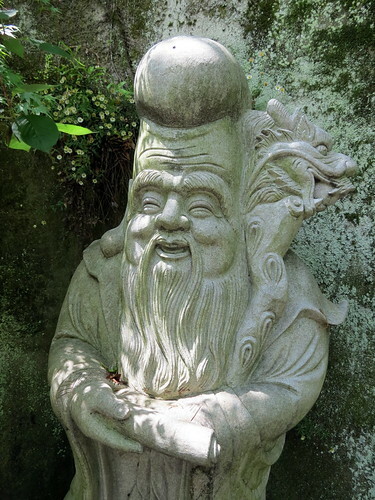 I also spent a looooooooong time sitting on my luggage in Tonosawa wondering what on earth to do with myself. It’s hard to look inconspicuous when you’re a hot and sweaty foreigner trying to kill time!